This week features an impressive line-up of bluegrass impresarios. 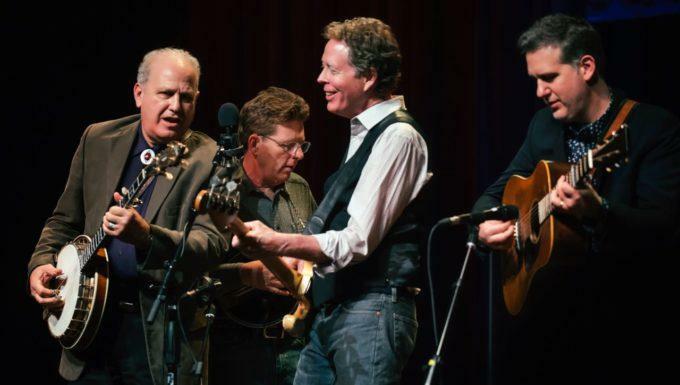 The legendary band Hot Rize (whose members include Pete Wernick, Tim O’Brien, Bryan Sutton and eTown’s own Nick Forster) celebrates its 40th anniversary with special guests and bluegrass heavy hitters Sam Bush, Stuart Duncan and Jerry Douglas. Grounded in the bluegrass traditions of artists like Bill Monroe, Flatt & Scruggs, and the Stanley Brothers, the members of Hot Rize have forged a path and a sound all their own since forming back in 1978. This beloved and iconic band is now taking an extended, open ended ‘hiatus,’ all the more reason to not miss this incredible musical gathering, which includes a special audience Q&A with Hot Rize (moderated by eTown’s own Helen Forster).